These sugar cookies were always a favorite of my uncle’s and it’s easy to see why. 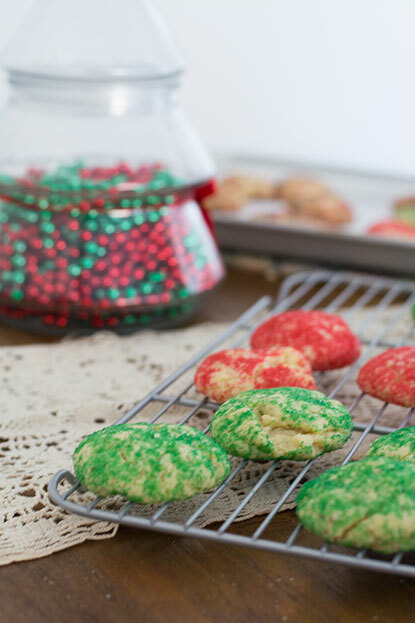 They are a a light and chewy cookie with a colorful, sugary crunch. 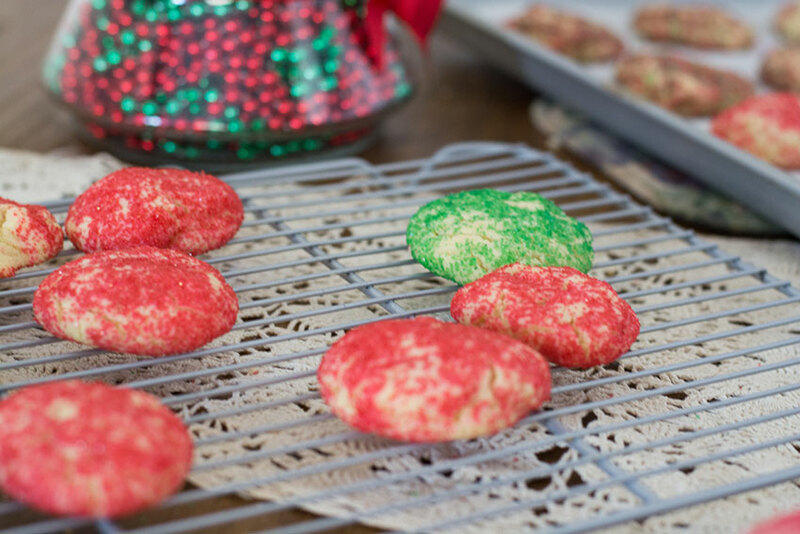 Though my family and I have only ever made these cookies over the holidays, they can easily translate for other occasions using and color combination that you fancy. I always had fun rolling the dough in the red and green sugar. It felt like I was rolling it in Christmas magic. Here’s to making a bit of your own Christmas magic this season. Merry Baking! Preheat your oven to 375 degrees. Cream shortening and margarine together in a large bowl until you get a light texture. Mix in the eggs and sugar. Stir in the remaining ingredients. In 3 small bowls, fill the bottom of one with red, one with green, and mix the red and green in the third bowl. Roll balls of dough into about the size of a walnut and roll into the sugar. Place about 2 inches apart on a line cookie sheet and bake for 10-12 minutes at 375 degrees. Place on a wire rack to cool. Voila. Christmas magic. 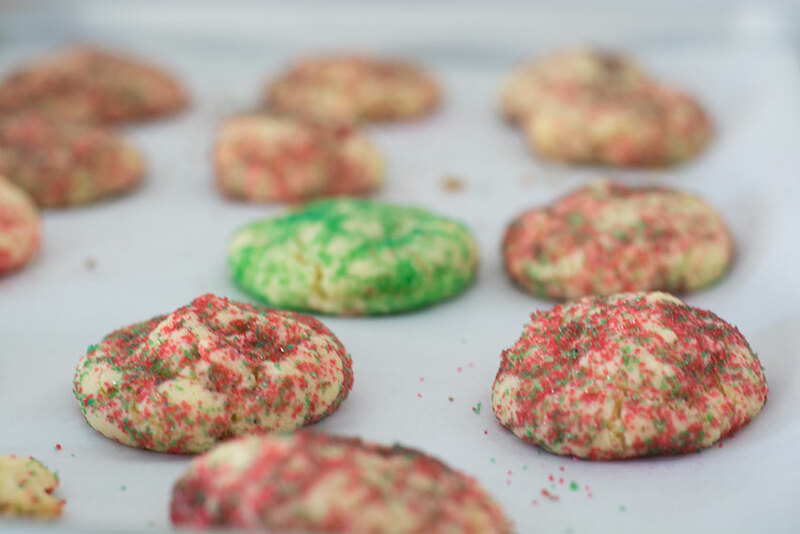 Your cookies look so festive.